yeah I won't lie it was a little on the scary side seeing that truck come over into my lane like that. well the odometer in Eagle Eyes has finally turned over so I now have an Eagle that says it has less than a hundred miles on it. 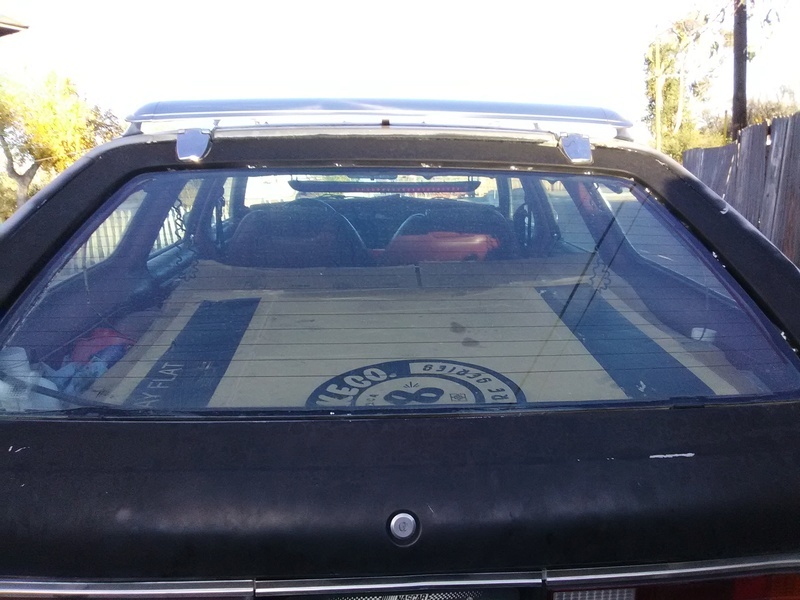 yeah I would have a very hard time getting anyone to believe my car has less than one hundred miles on it with the shape it's in. Now if it looked like one of yours I might be able pull it off. 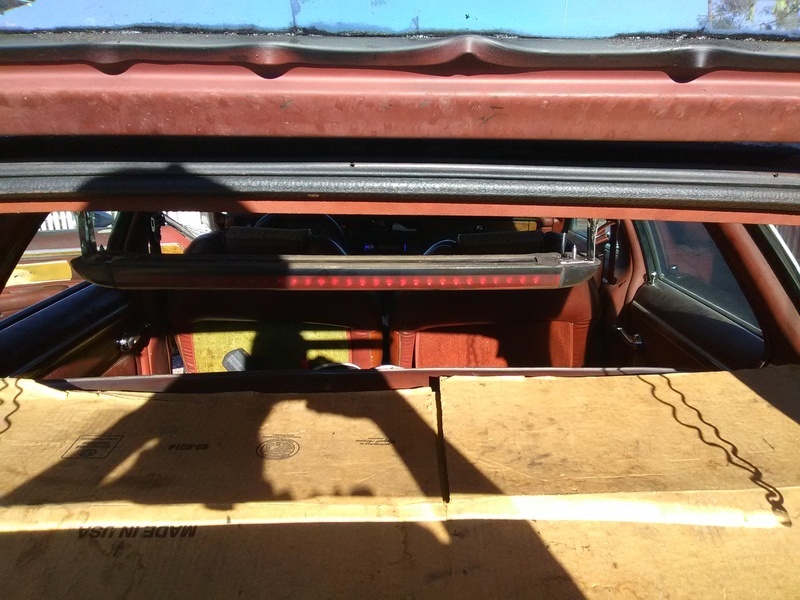 well today I installed a third brake light on Eagle Eyes from a 98 or so suburban I got it to work but I need to make a couple of brackets to drop it down far enough to clear the hatch. 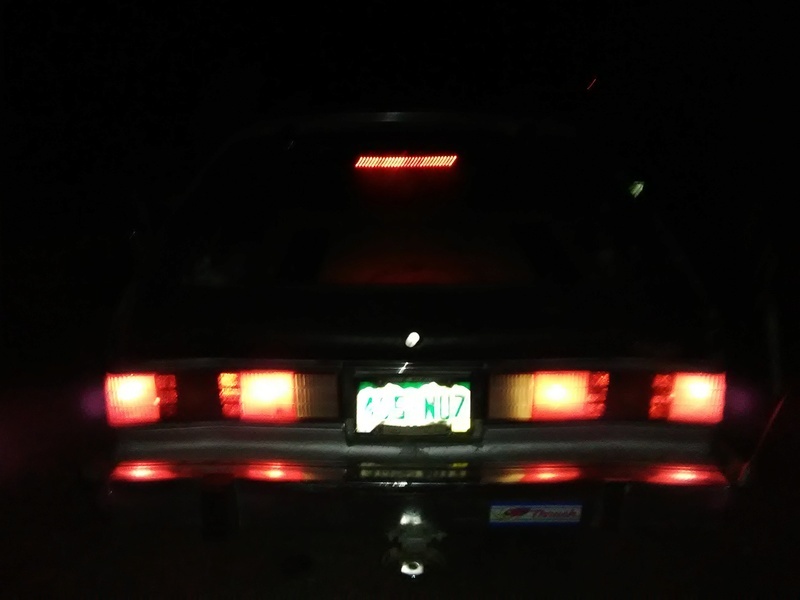 well I finally got some pictures of the third brake light. The brackets in the pictures are only temporary until I can make some better ones. Looks good, really looks nice when its lit up! thanks vangrimlin I was happy it turned out as well as it did. Eventually I hope to move it to the hatch on a set of pivoting brackets I just haven't figured out all the design details for them yet.